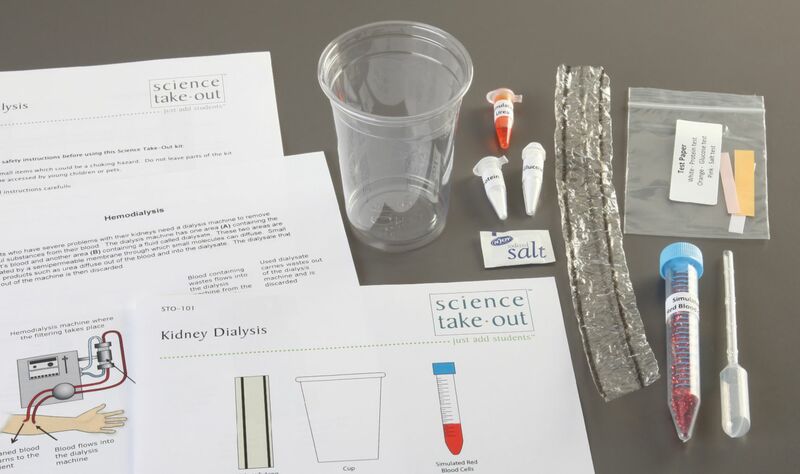 How does a kidney dialysis machine remove wastes from the blood of a patient with kidney failure? Create a mini-model of a dialysis machine. 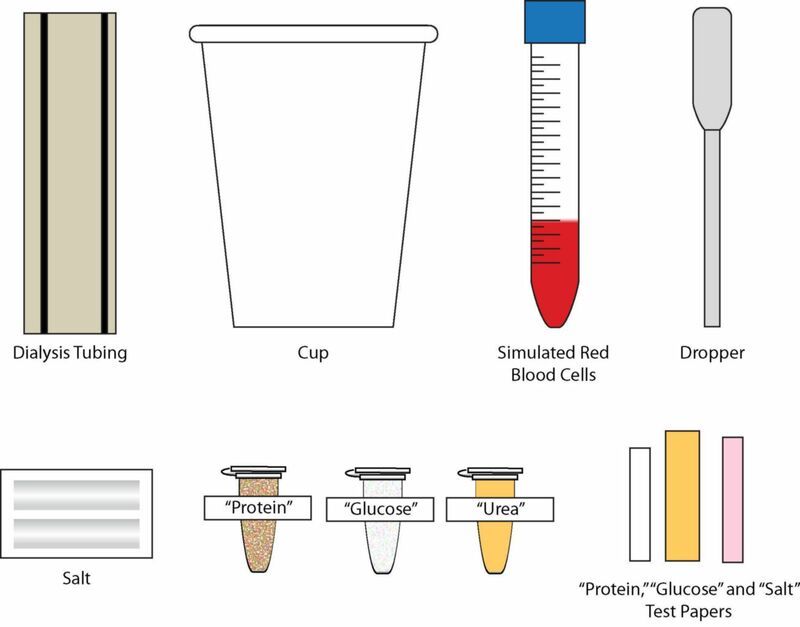 Determine what substances diffuse from the patient into the machine. 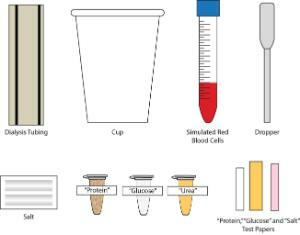 Determine what substances should be added to the fluid in the dialysis machine to prevent the loss of essential materials. 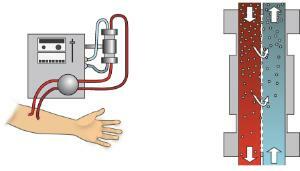 Compare hemodialysis (using a dialysis machine) to peritoneal dialysis (an alternative treatment for kidney failure). 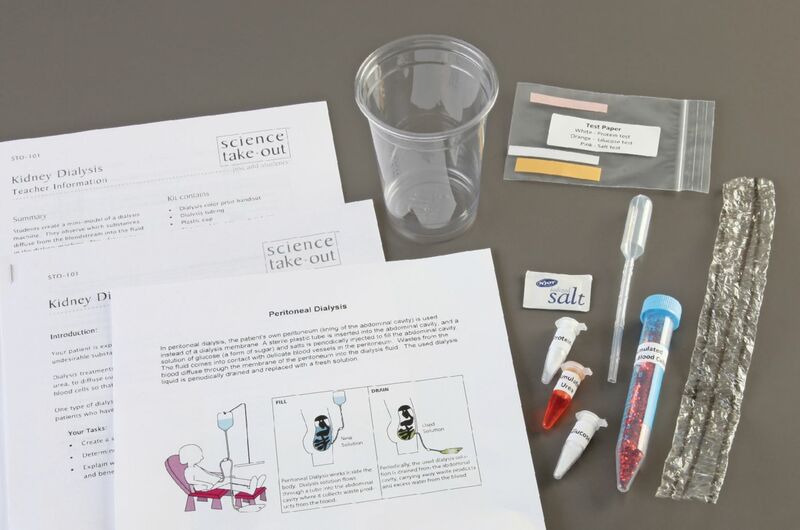 This complete experiment setup contains all materials and does not require lab equipment.